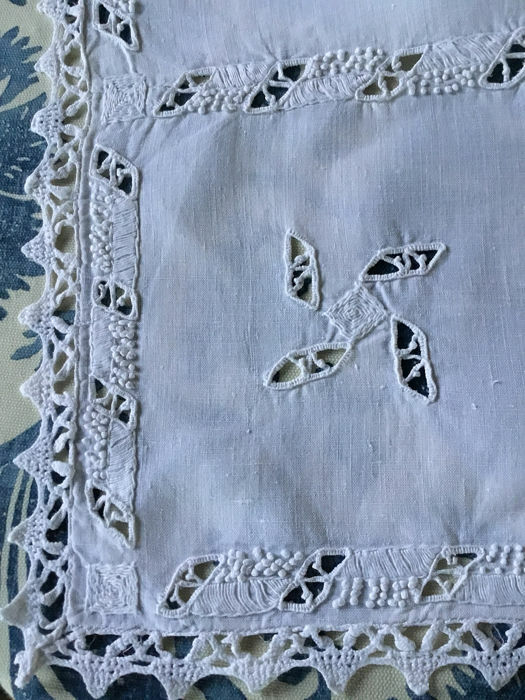 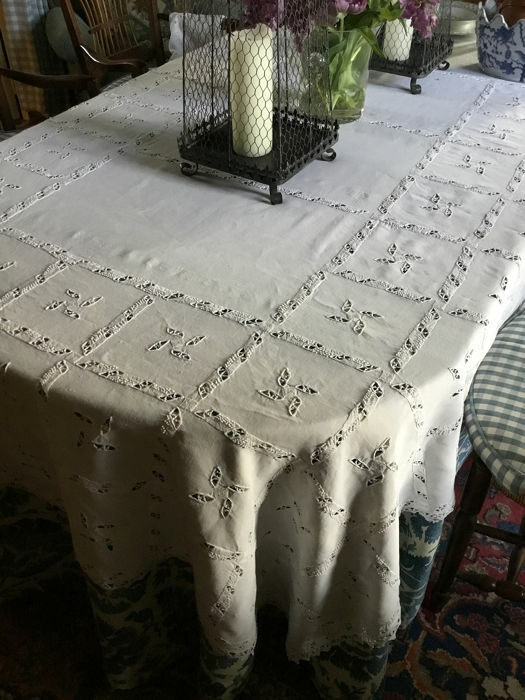 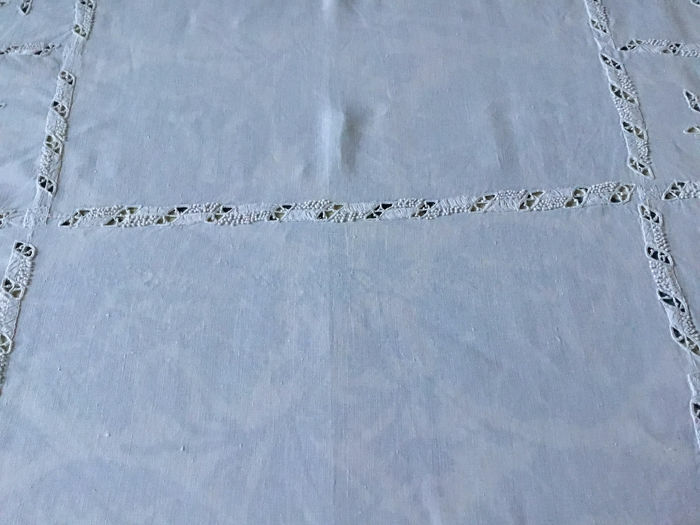 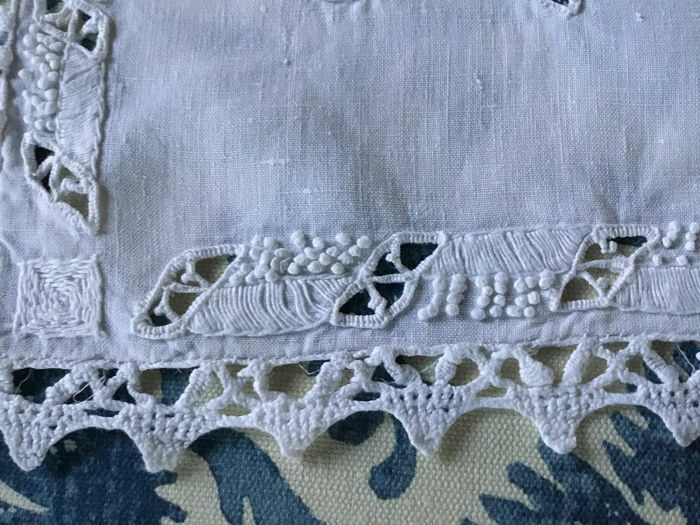 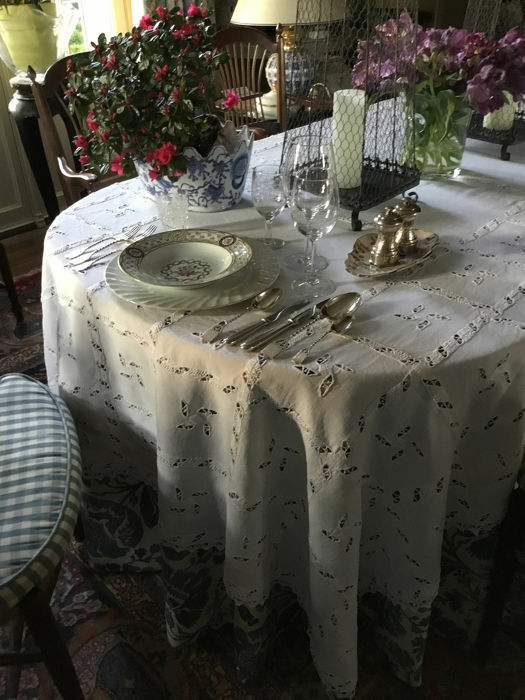 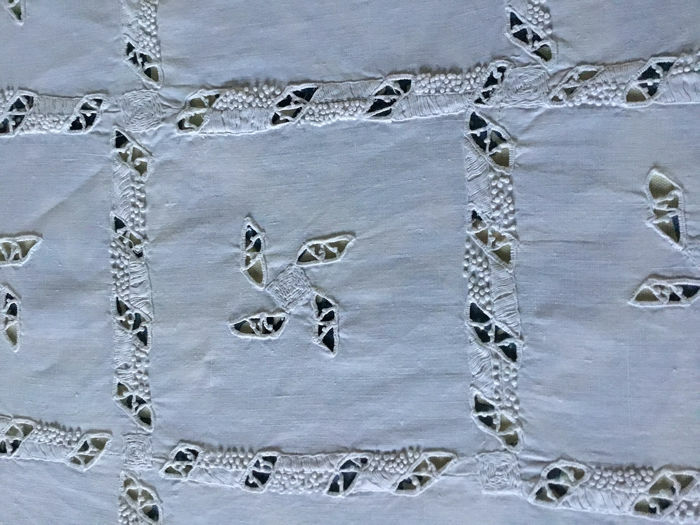 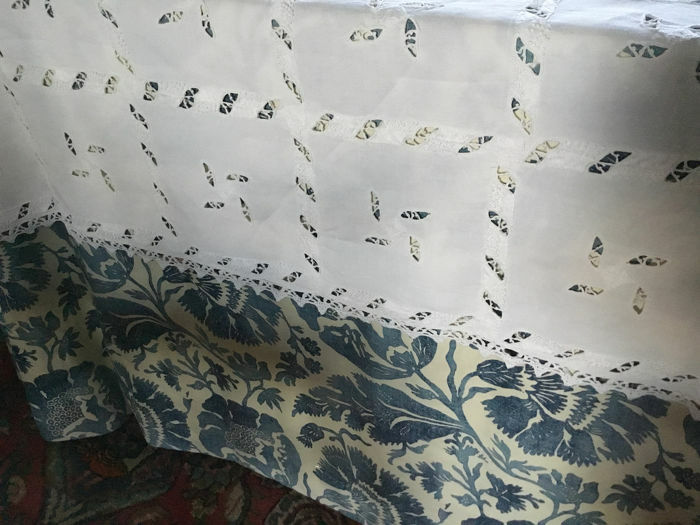 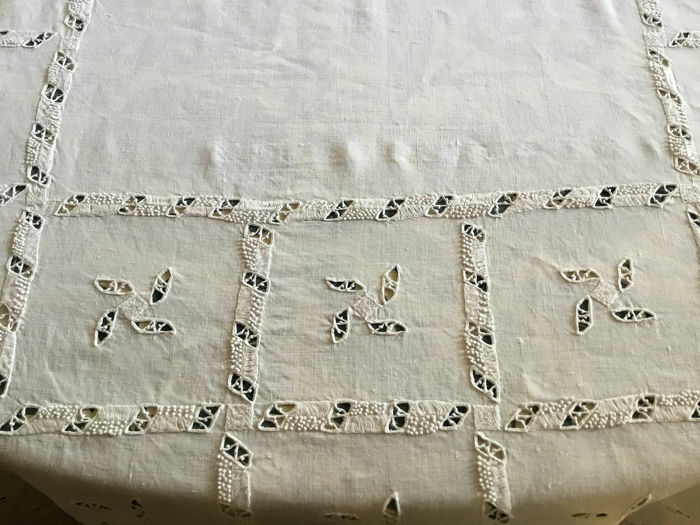 This spectacular table linen came from Brittany and apparently is very typical fro that Département. 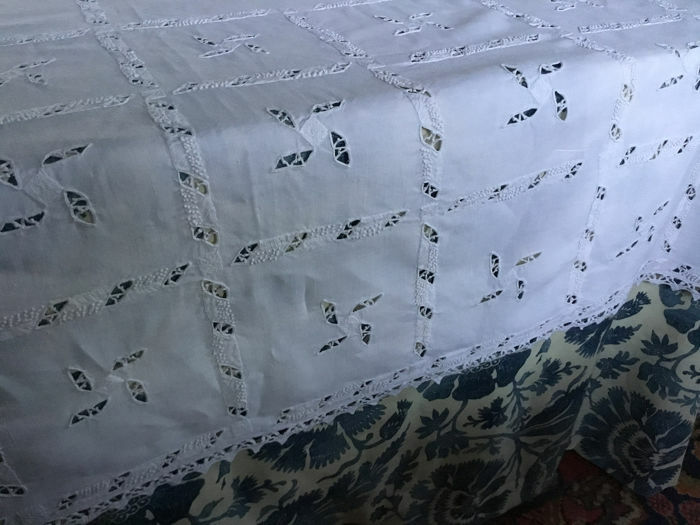 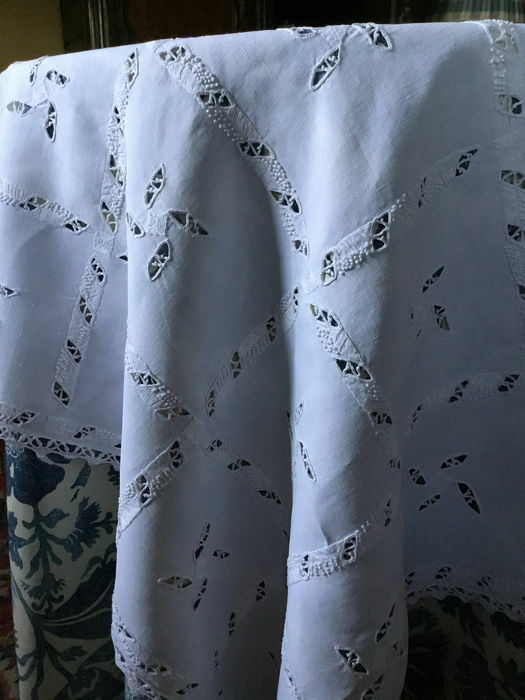 It was entirely handmade on linen and is in superb condition and only used on very special occasion. 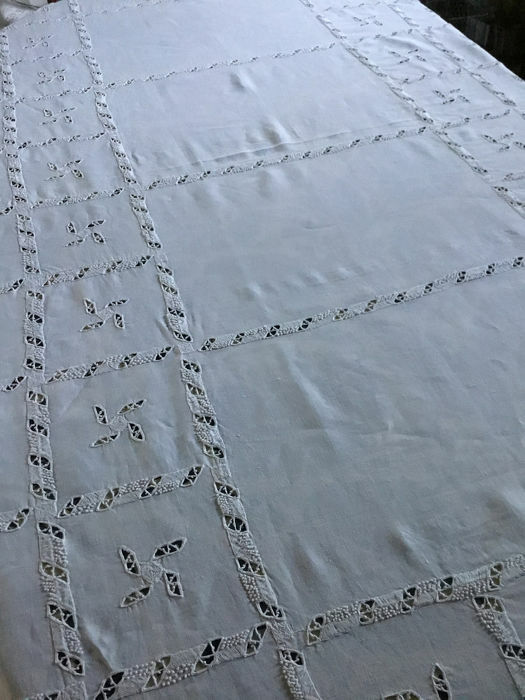 It is exquisitely embroidered and as so often happens not pulled because of the complex design and thus completely perfectly rectangular. 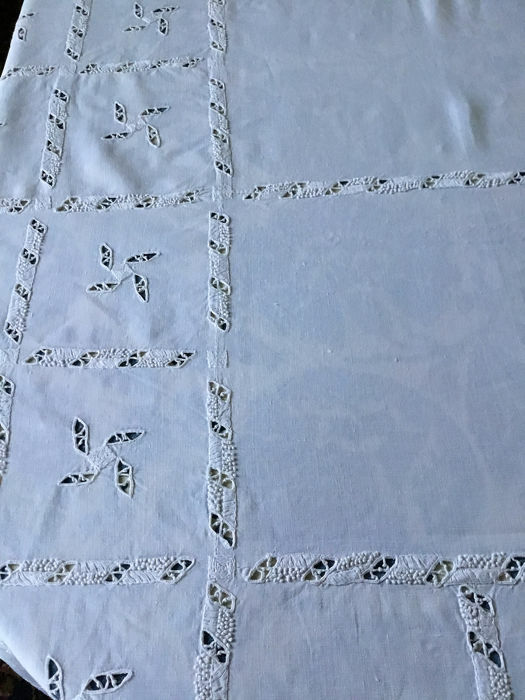 It has 4 rectangular top pieces and the outer sides have all been done in squares. 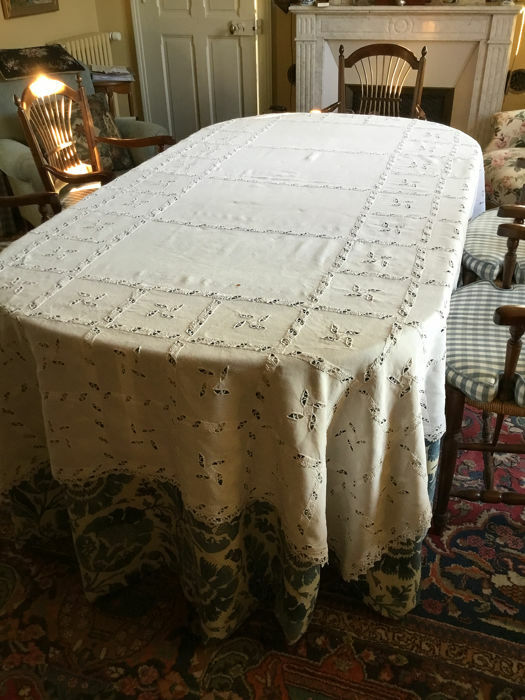 We have never seen a second one and possibly a apprentice piece at the time.